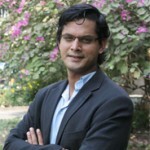 Sudhir Syal inaugurates our guest post series by writing on “Creative Commons”. For those interested in more details on the Creative Commons Movement in India, please watch this podcast featuring Lawrence Liang, Legal Lead, CC India. Also, if any of you are interested in writing guest posts, please let me know. Creative Commons… What’s that again? Yes, there have been multiple attempts at describing the new phenomenon called ‘Creative Commons’. 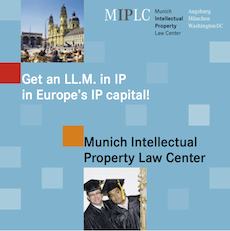 How is the phenomenon relevant to an intellectual property rights blog? Well, at one level, Creative Commons, its entire philosophy and belief of freedom to the content creator, is one which gives him an alternative to traditional intellectual property copyright. At another level though, a Creative Commons license is not completely dissimilar to a regular copyright one. In fact, in many case they put more restrictions on creative content then what might have previously existed on them. So what exactly is it then, this ‘Creative Commons’? Creative commons is a non-profit organization devoted to expanding the range of creative work available for the world to build upon legally, share and distribute. Its title line itself is “Share, Reuse and Remix legally”, and that in many ways sums up the entire aim and objective of the group. This in their view has negative effects when it comes to both safeguarding as well as creating new content. Difficult to Safeguarding content, as most creators find themselves unable to acquire a copyright license, and difficult to create content, as in their minds most copyrights are so ambiguous that they cause a chilling effect completely off-setting them from creating any related content. When you consider that most creative content is based in some form or the other on some other pre-existing content, this becomes especially relevant. Amongst the groups other subsidiaries is an organization called ‘ICommons’ whose vision is to use these licenses to develop a united global commons front by collaboration with tools such as open education, free software, open access publishing and free culture communities. The group works on specific projects, executed by a team of members from across the World. The earliest examples of Creative Commons based philosophy and ideology is in the Open publication license and in the GNU Free Documentation license which existed back in 1999. Both these licenses, allowed the free sharing and distribution of creative work in some form, and formed the seeds of Creative Commons based philosophy. The Creative Commons organization itself was officially founded in 2001, by Lawrence Lessig who headed a board of directors which consisted of a team of intellectual property and cyber-law experts. 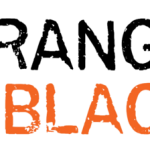 The organization was founded with its headquarters in San Francisco, and gained further momentum as it was promoted by the fellows and students at the Harvard and Stanforld Law Schools. Authors, Scientists, Artists, educators and other creators of creative content now had free tools to mark their creative work with the freedom they wanted it to carry. So what are these tools or licenses that a content creator can use? They are 4 basic tools which a content creator can use (in various combinations) in order to indicate the amount of freedom with which he would want his creative work to be used with. Though the Creative commons license promotes free sharing of content, it must be noted that the content creator does not lose his copyright by offering his work under the license; it only means that some of the content creator’s rights are offered to the public on pre-defined terms and conditions. A common example of this is when a newspaper uses a photo from the web, if the photo were to carry an Attribution license, the newspaper would have to provide credit to the photographer in a manner he deems fit; this is often carried out by printing the Photographer’s name by the side of the photo. For instance someone can plagiarize blatantly from a blog post of yours, put it up on the web and base content around it; but if he for instance were inclined to compiling the content into a book and putting it out for sale, he would have to take your permission before doing so. This one is quite simple, if you for instance were to compose a new song and upload it onto the web with a ‘No Derivative Works’ license; your friend Joe can download the song for free, share and distribute it; but if he were for instance to use the song, mix it with another and come up with his own compilation, the license would prevent him from doing so without your permission. Share Alike – You allow others to distribute derivative works only under a license identical to the license that governs your work. The Share Alike license in many ways epitomizes the entire philosophy of Creative Commons. This is used in association with other licenses, to quote an example; if for instance a photograph of Samira’s under a non-commercial license is used by Simon (a publisher) in creating a collage to be used in his magazine. His magazine would firstly have to be a non-commercial magazine, as Samira’s photo has a non-commercial license. Secondly, his photo would also necessarily have to be under a non-commercial license since it contains your picture. This would mean that if anyone were to copy or derive content from his magazine, it would necessarily have to be for non-commercial purposes only. 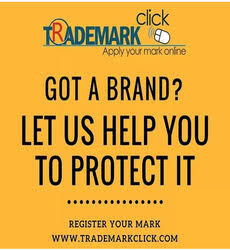 Except for the ‘No Derivate Works’ license not being used with the ‘Share Alike’ license , all other combinations of licenses are allowed and are frequently used. This is one of the most restrictive of the combinations of licenses, and is often called the “Free Advertising license”. This license would in effect mean that the specified piece of content cannot be made derivates out of or mixed with other forms of content, further it cannot be used for commercial purposes and will necessarily have to provide you with a pre-agreed upon attribution wherever it is used. The main difference between this license and the previous one is that this one lets others freely share, mix, tweak, and make modifications of the content, provided of course that the content is used only for non-commercial purposes. The Share Alike component of this license means that any derivative of any part of this creation would also necessarily have to be non-commercial in nature and given pre-agreed upon attribution to. Ok. Sounds interesting. How does one actually use any one these licenses? Legal Code: The fine print that you need to be sure the license will stand up in court. The process is completely free. After this is done, the relevant button is added to your published material and viola, you’re done! Hang on a minute. So these licenses mean that all content is actually given away free and the content creators are still making money out of it? Yes, believe it or not, it’s true. The common phenomenon is that, once an interest is generated around a product freely available on the internet, a large proportion of those who use the content on the internet, move over to a retail store and actually pay for the same content in a physical form. The reasons are manifold, some buy it for purposes of convenience, other do so to show their respect for the content creators, while still others buy it because of their perception of value in buying a product they can touch, feel and put on their rack. More than anything, the content available freely on the web helps build hype and WOM (Word of Mouth) attention onto the content, which more often than not translates into sales. There are a number of content creators which have used this strategy and come out successful; you can read more about them here and here. Has anyone taken these licenses seriously? Have legal bodies given them recognition? Well, the best way to answer that question is to tell you about an incident which happened recently. Well known podcaster Adam Curry, was shocked to see one morning a collection of photos from his Flickr page appear without his permission in the Dutch Tabloid ‘Weekend Magazine’. The license for all his content on Flickr being a non-commercial Creative Commons license meant that any commercial use of his photographs was strictly disallowed and his permission would have to be sought if it were to be used. The case went to the Dutch Courts, and Curry won. This was a victory for the Creative Commons movement. Their belief and faith in the movement had been vindicated. Given the recent nature of this phenomenon, and the unstructured new media laws in most countries, it’s still unclear how Creative Commons licenses will be upheld in other countries, only time will perhaps give us that answer. Where have these licenses been used since their launch? Since its launch, the response has been dramatic with a number of blogs, photos, videos and other creative content being licensed with the Creative Commons licenses. Some of the notable projects which have been CC Licensed have been popular internet platforms such as Flickr and Wikimedia Commons, while other formal publications and instructional materials such as MIT OpenCourseWare and the Public Library of Science have been others who have labeled their content with CC Licenses. The movement has seen itself extend to other forms of media such as newspapers, magazines, blogs and record labels apart from open space films such as Elephants Dream and Cactuses. So has it all been so rosy? There really has been no criticism or resistance to this movement at all? You’ve been pushing your luck with your leading questions sonny, stay in line. Errr Ok – Let me rephrase that. What have been the points of criticism (if any) that the Creative Commons movement has faced? As you would expect with a movement such as this, there have been multiple points of criticism against the organization and its movement. An Ethical position – Many have criticized the Creative Commons organization for not having an ethical position to base its licenses. Proponents of the Free Software Movement have argued that many of the CC Licenses have instead of providing more freedom to content creators, actually served as a hindrance. The Creative Commons organization reacted by retiring some of those specific licenses. A Political position – Many who have examined the group have completely disregarded its relevance, potency and effectiveness describing the group as an unconcerned corporate filter serving more to feed all those participating into corporate co-option with no specific motive. A Pro-Copyright position – The content industry as a whole has said that the Creative Commons Licenses in general undermine copyright laws showing utter disrespect for the media industry at large. Further, they have criticized the movement saying that instead of simplifying license proliferation, they have worsened it by providing that are incompatible with most forms of media. A paper by Niva Elkin Koren, a professor of law at the University of Haifa Israel, forms a an alternative view on Creative Commons, presenting her hypothesis on how instead of opening out a new world of creative thinking and freedom, the movement might actually inadvertently create more of a restrictive licensing culture because of the easy accessibility to licenses. Her view is that, since most creative content is actually devoid of copyright licensing in any case, the Creative Commons licenses are in most cases giving creative content new licenses and restrictions which previously did not exist. The next question one often asks is “Will all content be shared freely in the years ahead? Is that where this is heading? There are multiple answers and views to this question, and it really is a question which can be debated endlessly. My view is this, the group or the movement itself is not necessarily heading towards a pre-defined goal or destination. It has no clearly expressed ambitions of ‘changing the world’, and even it does, it would be a difficult task actually doing so. The undeniable crux of the matter is this, at any point of time there are certain types of creative content for which using a Creative Commons license simply does not make logical or commercial sense, while there are other forms of content where the content creators could benefit enormously by effectively using these licenses. Both intellectual property and Creative Commons licensing can co-exist giving the content creator the choice of which path he would like to follow. All the other details and arguments, then simply cease to exist. IAs many would agree, that’s really what the internet generation (what is now referred to as the Google generation) is all about – ‘Empowering the user’. Traditionalists may rise in objection, skeptics might argue and the purists may scratch their heads in disbelief but recent history has shown that, when it comes to this phenomenon called the ‘Internet’ – traditional beliefs and rules are sidelined, the rules are completely different, most times shockingly so. How slowly or quickly the World would like to accept or adapt to these rules is really up to them. It’s a free world after all. Ain’t it? 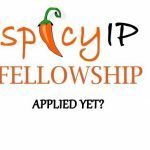 Announcing the 6th SpicyIP Fellowship 2018-19! Announcing the 5th SpicyIP Fellowship 2017-18! Thanks for letting us know. Its showing up okay on my email–and emails of other friends who’ve written to me to comment about this post. Perhaps it has something to do with computer/email client. I’ll look into this. In the meantime, what I would suggest is that you read this off the blog site if the email doesn’t show up in proper format. How about a post on job opportunities in IPR? It would be useful for budding attorneys and students.